Join Melbourne's largest Jewish summer learning program. Featuring over 40 unique and inspiring lectures with dynamic presenters who will certainly get you thinking. We are thrilled to welcome Ari Shishler as our scholar-in-residence for this year's program. Rabbi Ari Shishler is the Rabbi of Chabad of Strathavon, a fast-growing Chabad centre in Sandton, South Africa’s business hub. Rabbi Shishler is the learning director at the central Chabad House of Johannesburg and has taught at the Torah Academy High School for 15 years. Rabbi Shishler’s weekly classes on Jewish spirituality attract upward of 100 attendees. He also lectures on Jewish history, personal growth, Kabbalah and Talmud. He has also lectured in the USA, UK and Israel. A sampling of Rabbi Shishler’s classes is available on Chabad.org. 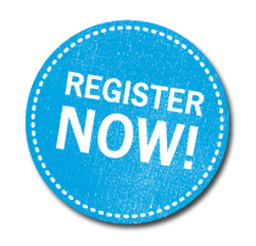 Register now and avoid the hassle on the day. You can become a part of the Summer Learning Program! We are looking for corporate sponsors who value Torah learning to partner with us. Sponsors will enjoy exposure in our advertising materials and will have their logos projected on screen at each lecture. ﻿More importantly you will merit the blessings from Above for your support and facilitation of Torah study. The Melbourne Summer Learning Program is an annual program of Torah Learning operating in the heart of the Melbourne Jewish Community. Running for over 30 years, this world class program has been a source of inspiration across the spectrum of Melbourne Jewry, engaging and inspiring the hundreds of people that participate each year. The Summer Learning Program is an initiative of Kollel Menachem Lubavitch, the Adult Education Division of the Yeshivah Centre.